Although many millennials dream of moving to major metropolises like New York City, Boston, Houston, and San Francisco, they don’t always have the financial means to do so. With the high cost of living in these cities, budget-conscious professionals may desire to look elsewhere for dynamic but affordable places to put down roots. 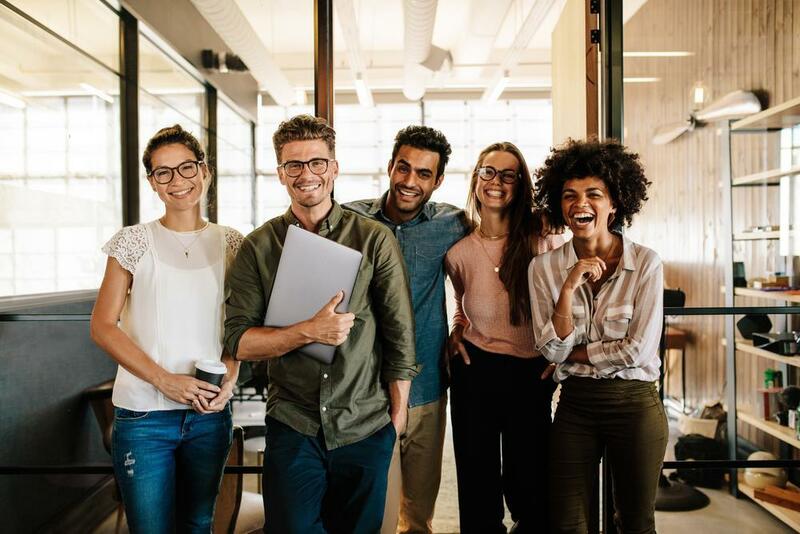 If this situation sounds familiar, rest assured that there are plenty of other rapidly growing cities that have much to offer young professionals at a much lower cost. If you can handle the long, cold winters, Grand Rapids is a great city to start your career. Voted Beer City USA for its abundance of microbreweries, Grand Rapids is a haven for young professionals who enjoy a craft brew. Outside of work, Grand Rapids offers many opportunities to socialize and get involved in the local culture. The city has a variety of summer and winter festivals, not to mention exciting nightlife and a growing arts scene. Best of all, you can make the most of this thriving city without breaking the bank — the average rent for an apartment in Grand Rapids is just around $1,000. Searching for a respite from winter? 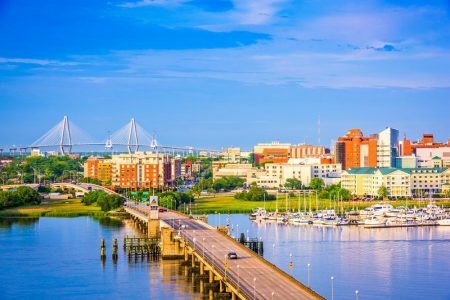 Consider moving to Charleston, S.C. Dubbed Holy City for its many church steeples, Charleston is famous for its subtropical weather, rich history, Southern charm, and delicious cuisine. Charleston is frequently voted the No. 1 city in the U.S. and has even been named the top city in the world by Travel + Leisure. With its serene coastal setting, friendly locals, and creative culture, it’s not difficult to see the appeal. Although some neighborhoods are more expensive than others, it’s easy to get your money’s worth. Charleston is nowhere near as expensive as other major cities, but it has the big city amenities young professionals are looking for. Looking to start your own business? Charlotte has a widespread reputation for being a start-up friendly city. North Carolina’s Queen City boasts low business costs, large venture capital firms, and a variety of networking opportunities for entrepreneurs. Additionally, Charlotte has a strong and supportive community that favors small business owners. Charlotte is also well-known for its banking industry, which is one of the largest in the United States. It may not be Wall Street, but the city is still a hub for bankers. WalletHub recently named Colorado Springs the fifth best city in the U.S. for finding a job. The city ranks highly on several other top lists as well — it’s No. 1 on Trulia’s top housing market to watch in 2019, and No. 4 in Thumbtack’s most business-friendly cities. Home to a diverse mix of young professionals, military personnel and retirees, Colorado Springs has something for everyone. The city offers easy access to skiing and snowboarding, hiking and biking trails, and a vibrant downtown area. While it may not be as big as Denver, Colorado Springs has a much more affordable cost of living. If you enjoy the feel of a small town with the diversity of a larger one, this charming city is for you. Home of the Alamo, San Antonio is bursting with culture and history. This Instagram-worthy city offers plenty of entertainment options, including art museums, sporting events, theatre performances, and a variety of fun festivals. The citizens of San Antonio also enjoy taking a step back in time to celebrate the city’s Spanish heritage and Old West roots. From the Texas Folklife Festival to the famous Fiesta, you’ll often have an occasion to let loose in this spirited city. 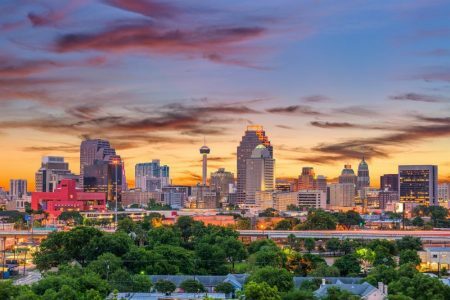 One perk of living in San Antonio is its relative affordability. The city’s cost of living is slightly lower than the national average, making it a perfect place for budget-conscious professionals to settle. Tucked along the banks of the Tennessee River, Chattanooga is renowned for its many outdoor activities. It also has a reputation for being an extremely bike-friendly city, which will help you save money on gas! Fittingly named the Scenic City, Chattanooga is a mid-sized town that boasts a vibrant arts scene and thriving business climate. Another nickname it holds is the Gig City for its burgeoning tech sector. The capital of Idaho, Boise has experienced rapid growth over the last decade. The city has recently ranked highly on many top lists, including Livability’s best downtowns. Boise is affordable and minutes away from numerous outdoor activities, with one of the lowest crime rates in the country. There are also many cultural attractions, including museums, symphonies, the opera, and a few museums. Mouth-watering food, a rich culture, and abundant greenery are just a few of the appeals of living in St. Louis. This Midwest port town is also known as one of America’s most affordable cities. Recently, the major city ranked No. 4 for starter-home affordability, making it the ideal place for young professionals to purchase their first home. It also has a charming farmers market, a spirited sports culture, and great nightlife. In fact, it puts on the second biggest Mardi Gras celebration in the country. If you don’t choose to live in this fine city, consider making a trip for Mardi Gras and laissez les bons temps rouler! By choosing to move to a rapidly growing city, budget-conscious 20-somethings can enjoy a more comfortable lifestyle for a lot less.While their names may not immediately evoke the same thrill, you’ll soon discover that these cities are hidden gems. Book a trip to one of them and you may soon find that you don’t want to leave. Author Bio: Traci Magnus is a realtor for Dunes Properties located in Charleston, SC. She has a degree in economics from the University of South Carolina. When she’s not selling houses, she is looking up the latest trends in residential and commercial development.